After the MCA acquired the armory site, the museum used the armory building itself to herald its presence. Associate curator of exhibitions, Beryl J. Wright, organized the exhibition that presented the work of eighteen artists and collaborators who responded to the interior armory space in a myriad of ways. The catalogue features essays by Robert Bruegmann, "The Chicago Avenue Armory"; Anne Rorimer, "Context as Content/Subject as Object"; and Beryl J. Wright, "Artifact and Art: The Armory as Exhibition Site." Assistant Curators Staci Boris and Nadine Wasserman contributed essays about the artists' works. "With Art at the Armory: Occupied Territory," Chicago's Museum of Contemporary Art is breaking new ground as it prepares to break new ground: the largest exhibition of installation art ever to be presented in Chicago precedes the construction of the new MCA building and sculpture garden to be completed in 1995." 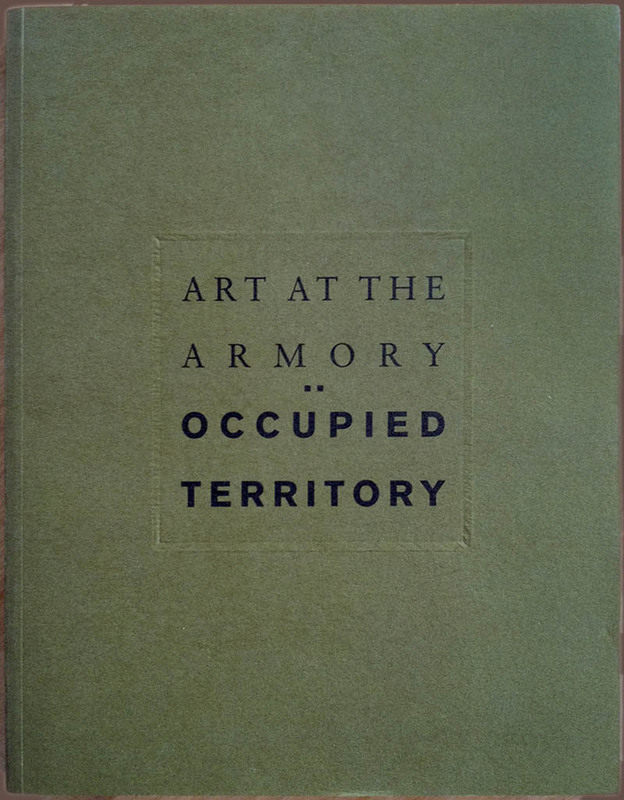 Catalogue for the Art at the Armory: Occupied Territory exhibition. It ran from September 13, 1992 through January 23, 1993.